Samuel A'Court Ashe was a Confederate infantry captain in the War Between the States and celebrated editor, historian, and North Carolina legislator. Prior to his death in 1938, he was the last surviving commissioned officer of the Confederate States Army. 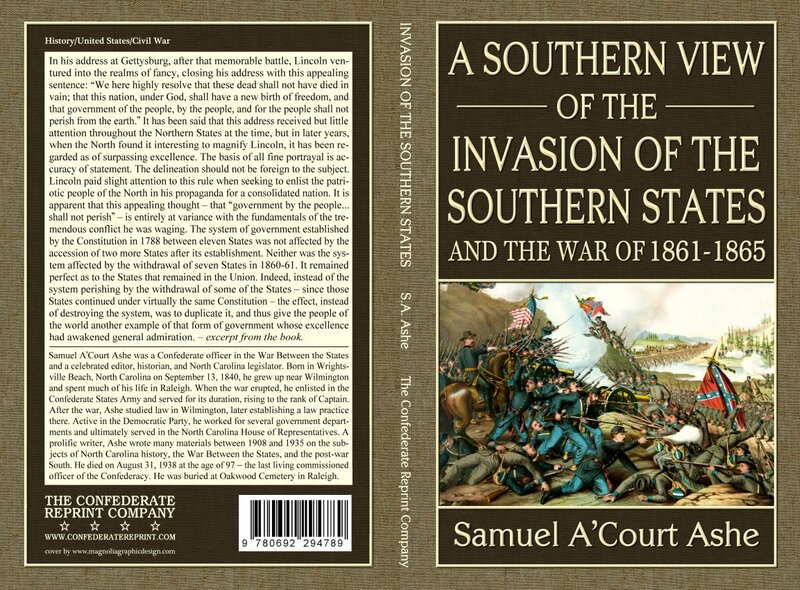 In this little book, he gives a helpful overview of such subjects as the slave trade and Southern slavery, State sovereignty, the causes of secession, Abraham Lincoln's violations of the Constitution and usurpation of power, and more.